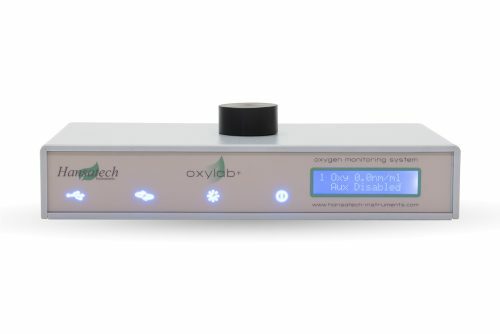 Requires Oxylab+ control unit for calibration & automatic control of intensity changes. 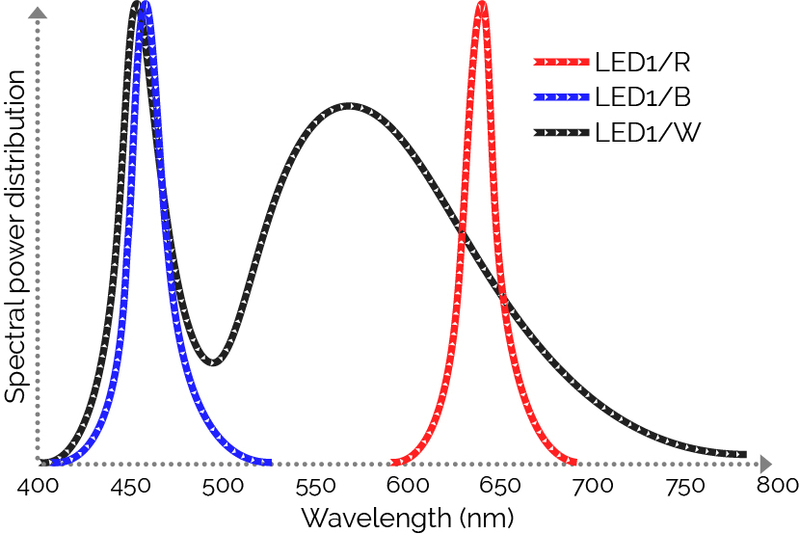 The graph below shows the spectral output of each colour of the LED1 light source. Light intensity adjustments are made automatically based on user-defined PFD tables within OxyTrace+ software. PFD tables consist of up to 20 individual steps allowing complex light response assays to be configured for automatic execution during a measurement. 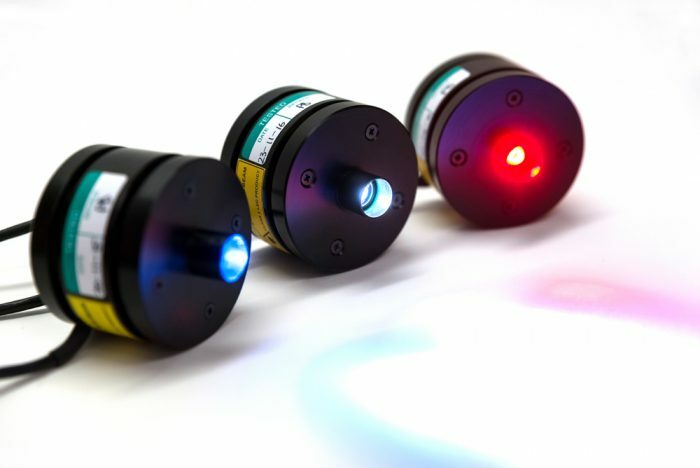 Each of the LED1 light sources provide a maximum intensity of up to 2,000 µmol m-2 s-1 in DW2/2. Greater intensities are achievable by purchasing additional LED1 housings and an adapter which allows simultaneous automatic control of up to 3 LED1 light units. 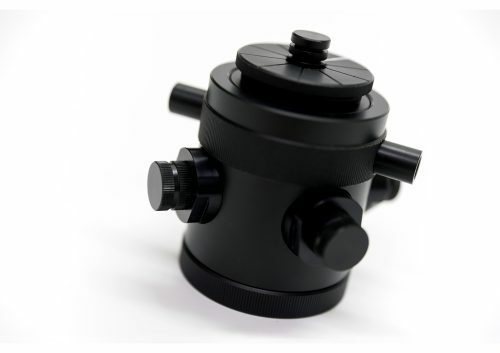 Dimensions: 64mm (dia.) x 60 mm (h).